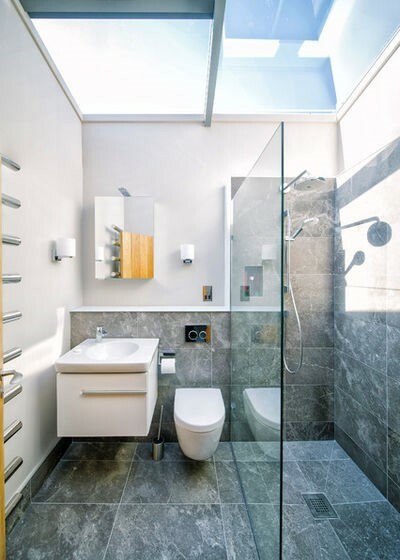 One needs to choose between a wall-mounted or floor-mounted WC at the initial stage of bathroom renovation or design so that the plumbing layout can be planned and laid accordingly. These WCs (water closets) are made in vitreous china and are available in a variety of designs; the preferred standard colours are usually ivory or white. 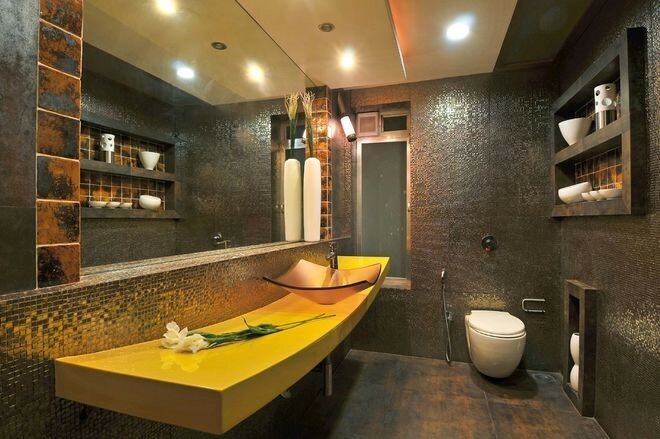 Here are the pros and cons of wall-mounted and floor-mounted WCs. 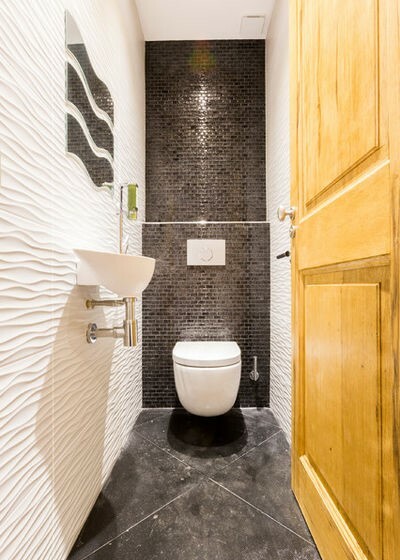 If you want a high-end, modern look for your bathroom, go for a wall-hung WC. 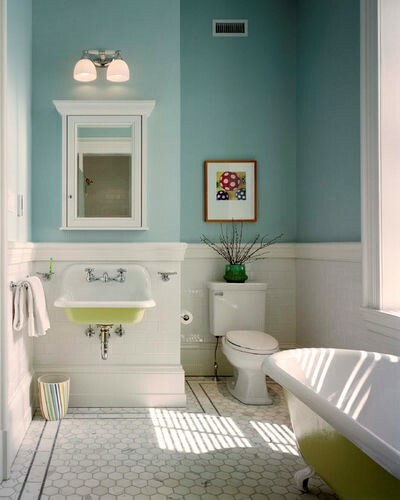 Its beauty lies in the floating effect created by the commode. A wall-mounted WC comprises mainly four parts, namely a wall tank, a flush actuator (the device that controls flow), a toilet bowl and a seat. 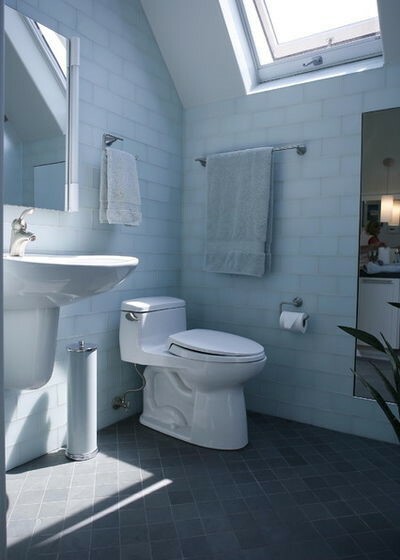 Tip: The height of a wall-mounted WC can be adjusted as per the homeowner’s requirements. This is especially useful for people with mobility issues, who medically require the WC to be at a higher level from the floor. 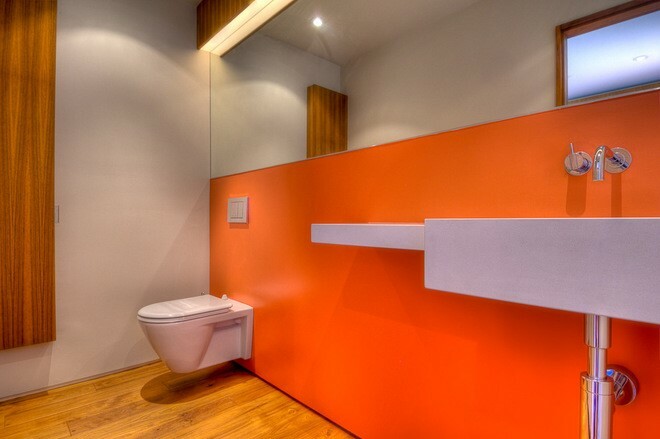 The biggest advantage of a wall-hung WC is that it is attached to the wall, leaving the floor space clear. This makes such units suitable for compact bathrooms, as they impart a feeling of spaciousness. The water-outlet and flushing device is concealed within the walls. This ensures a clean, uncluttered look and is a differentiating factor between a wall-hung and a floor-mounted WC. Pro Tip: Some wall-hung WCs now come with a dual-flush cistern and actuator buttons, which let the user decide how much water to use when flushing. Since the commode is raised and not touching the floor, the bathroom floor is much easier to mop and sweep. The cost of materials and installation of a wall-hung commode is higher compared to the floor-mounted units. 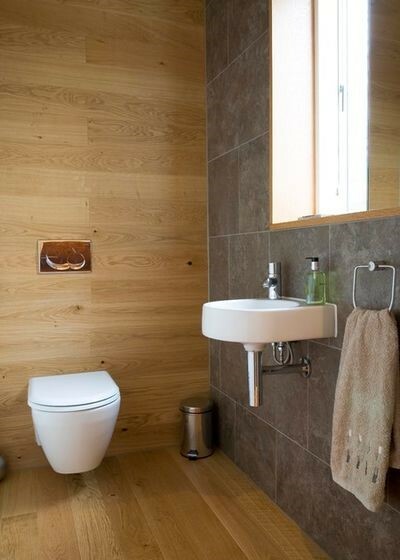 Wall-mounted WCs require thicker walls to accommodate their tank and flushing systems. Many homes may not have thick enough walls, which then makes these difficult to install. One can construct an extra wall to achieve the required thickness. 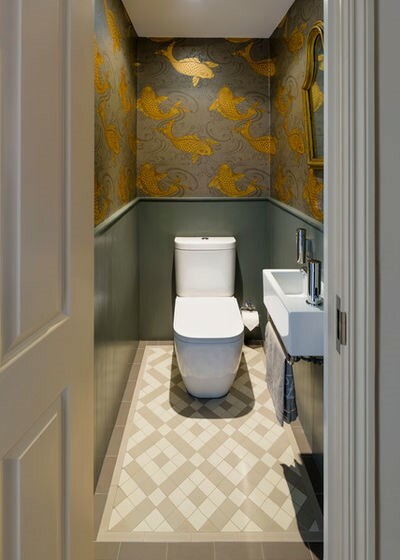 In this example, the wall behind commode is projected and made thick so that it can hold the concealed flushing cistern. 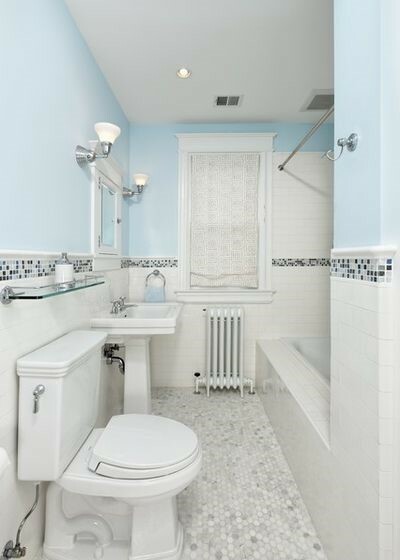 Note: Installing a wall-mounted WC into your bathroom cannot be an afterthought; the model has to be purchased and the plumbing fixtures of the concealed flush installed and integrated with the plumbing lines before tiling. One can place this commode on any point of a bathroom wall that has a water source. One of the biggest drawbacks of a wall-hung WC is that, since the flush tank is concealed, it may be difficult to access for repairs. Pro Tip: For hassle-free maintenance, it is advisable to opt for models that come with built-in access panels that allow the plumber to reach the WC’s components. A wall-hung WC may come a bit loose of its moorings, over time, due to constant usage, as it takes support solely from the wall. So, do ensure periodical readjustments of the commode by an experienced plumber. Floor-mounted WCs are very commonly used. They are two types – the one-piece commode which is manufactured as a single unit by fusing the flush-tank and bowl, or a two-piece commode which is composed of separate bowl and tank parts. These are installed separately and connected during installation. Floor-mounted WCsare bolted to the floor – do make sure to use a gasket or a sealer between the commode’s bolts and the floor to prevent water seeping into the floor substrate. Standard floor-mounted WCs are affordable; also most of the components of a floor-mounted WC are visible and accessible, which make the parts easy to change or replace in case of damage. Replacement parts are easily available, too. 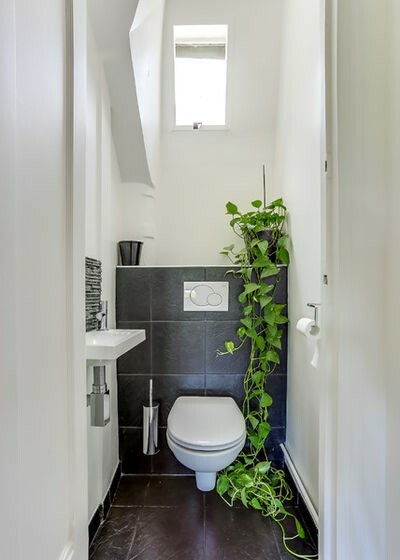 The main drawback of a floor-mounted unit is that in comparison to wall-mounted units, it takes up more space and can make a small bathroom look even more cramped. A floor-mounted commode is not very easy to clean, as it is difficult to access floor areas around the base of the commode and the junction between the flushing cistern and the bowl.